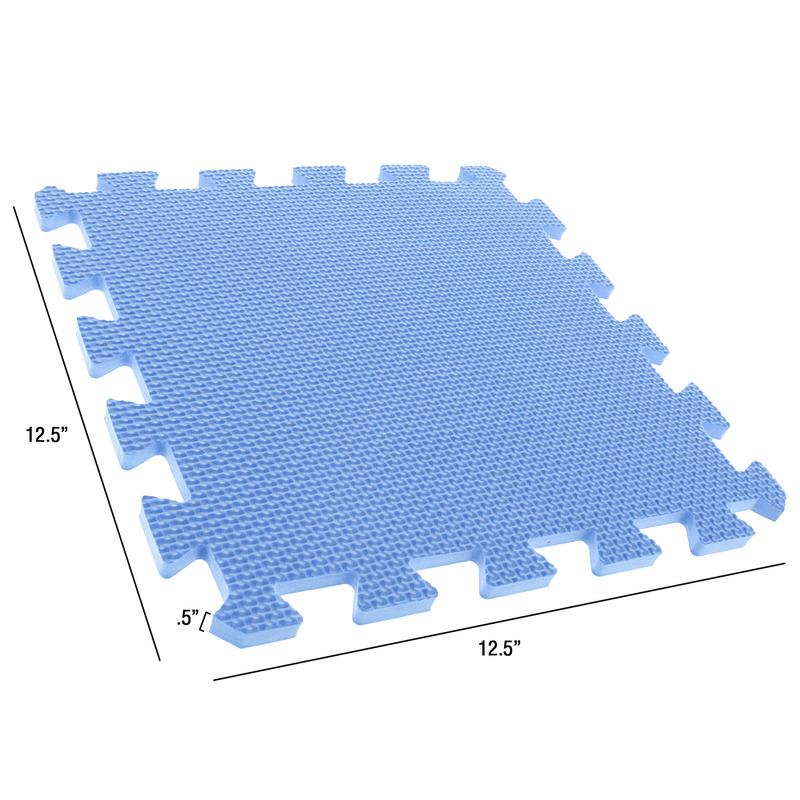 The Stalwart Interlocking EVA Foam Floor Mats will help reduce fatigue and protect your floors thanks to a full .375 inch of thickness. These quality Floor Mats are perfect for exercise areas, workshops or kids play areas. Give yourself shock-absorbing comfort when doing Yoga, Pilates, Cross Fit or weight lifting! 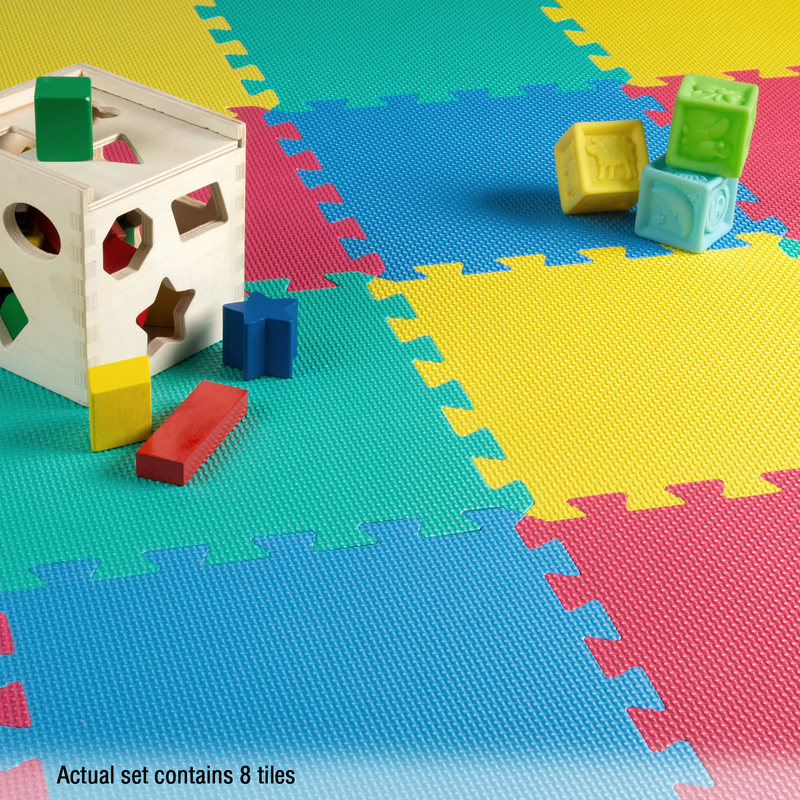 Protect your little ones when they play, by assembling the mats into a virtual carpet to cover the play area floor! Can also be used in any room you might be standing for long periods like your kitchen or bathroom. These mats are NON-TOXIC, easy to assemble and wipe clean with soap and water. They offer water resistance and a non-slip surface. SAFE, SOFT AND DURABLE – Non-Toxic, tested FREE of Lead, BPA's and Phthalates foam tiles by Stalwart are used to protect your floor and create a comfortable space with exceptional support and cushion. 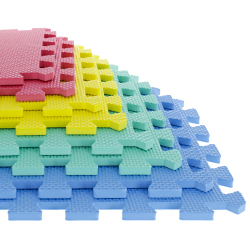 MULTIPURPOSE – Non-skid textured foam padding can be used anywhere that needs extra shock-absorbing cushioning. These quality floor mats are perfect for workshops, kids playrooms, and spaces where you do yoga, pilates, cross fit or weight lifting! 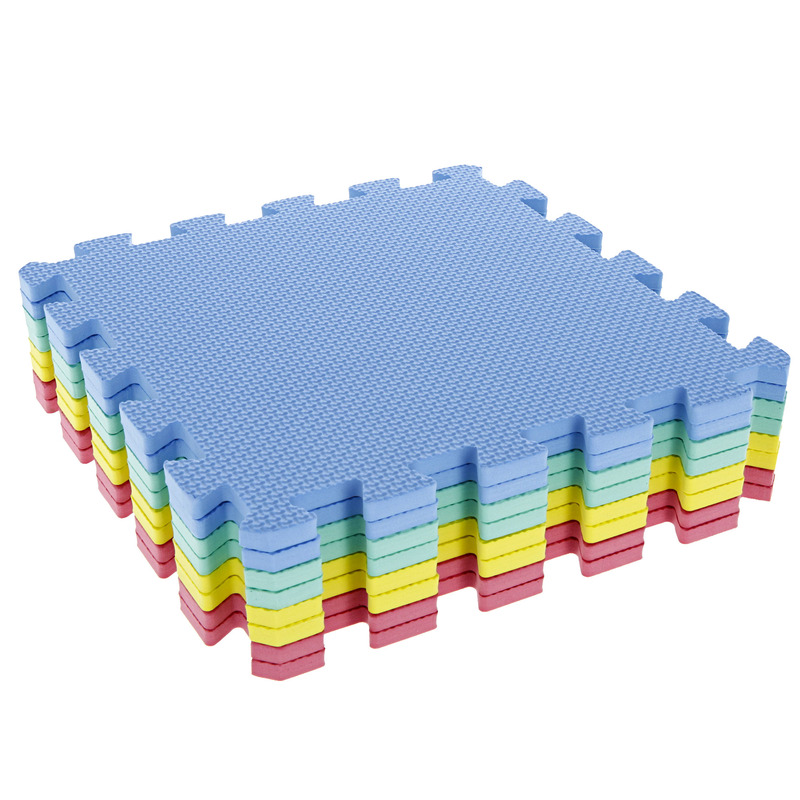 EASY ASSEMBLY – Foam tiles connect easily and can be disassembled just as simply for quick storage. Thanks to the puzzle piece edge design, the interlocked the mats stay firmly in place. They are easy to clean with just a damp cloth and mild soap.